Learn about the Alemite 8322 1/2" Diaphragm Poly Pump Buna Diaphragm Material. Includes pricing, features, and FAQs. 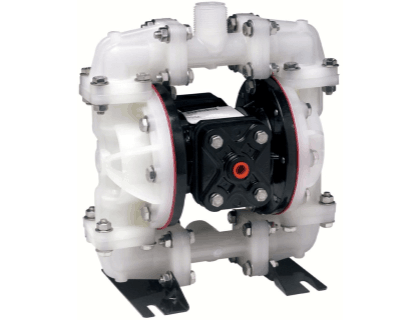 The Alemite 8322 1/2" Diaphragm Poly Pump Buna Diaphragm Material is a diaphragm pump designed for high volume transfer and dispensing low-viscosity liquids. Pros: Transfers and dispenses most water based fluids. Cons: Not recommended for soaps or cleaning fluids. Bottomline: An affordable diaphragm pump for low viscosity liquid applications. The Alemite Diaphragm Pump retails for $499.99. What type of fluids can the Alemite Diaphragm Pump dispense? It can dispense a variety of liquids, including windshield washer fluid, antifreeze, new/used oil, and most water-based chemicals. Where can I buy the Alemite 8322 1/2" Diaphragm Poly Diaphragm Pump? You can buy the Alemite Diaphragm Pump by clicking on the link above, or from sites like Megadepot and eBay. What are some Alemite 8322 1/2" Diaphragm Poly Diaphragm Pump alternatives?